A big, brash number crammed full of modified malts and hops in Bridge Road's recreation of the classic British style. Back in its earliest incarnations, it was a pretty traditional recreation of English IPAs too, heavy on the rich malts as well as piling on the hops. It's changed over the years, leaning more closely to American, paler in hue and with hops more of the citrus and pine ilk. 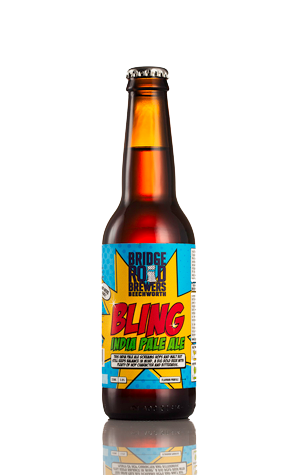 Indeed, today the Bling sits well within a family of Blings at Bridge Road, from big brother Bling Bling at the top to Little Bling mid-strength at the other end.